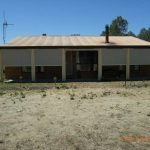 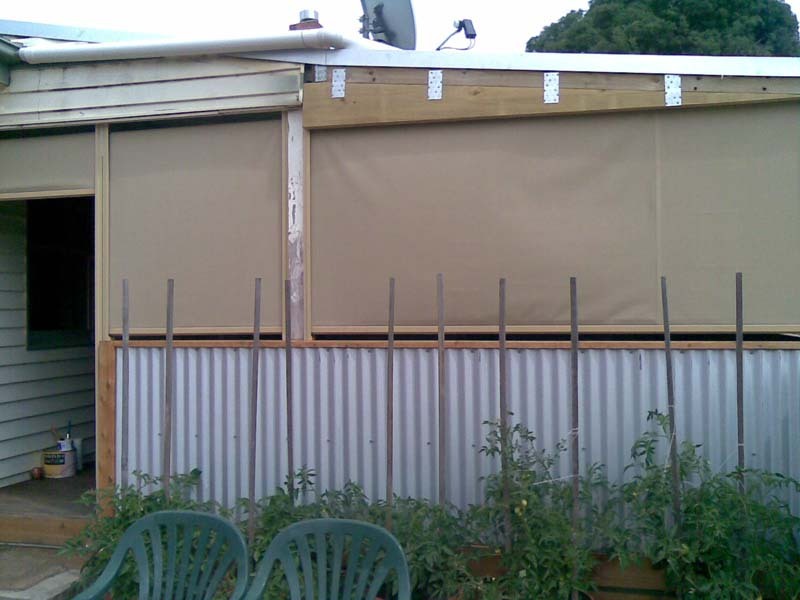 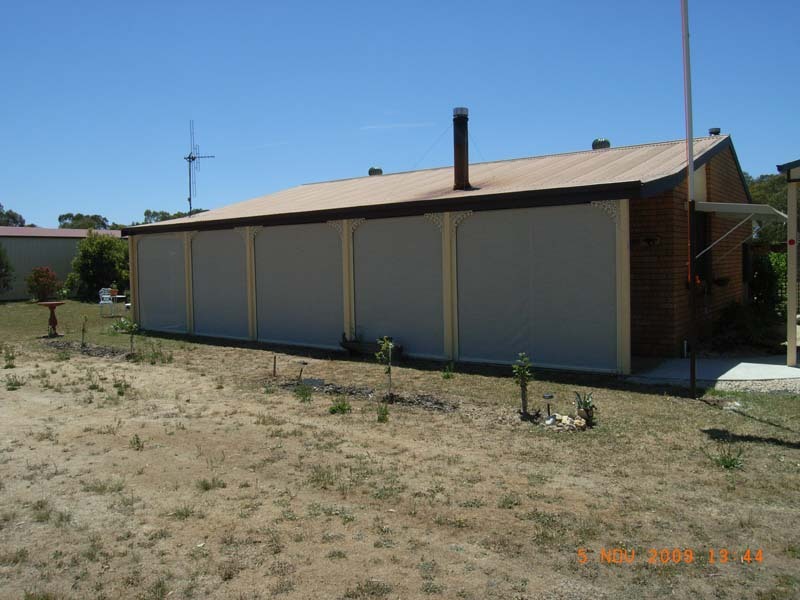 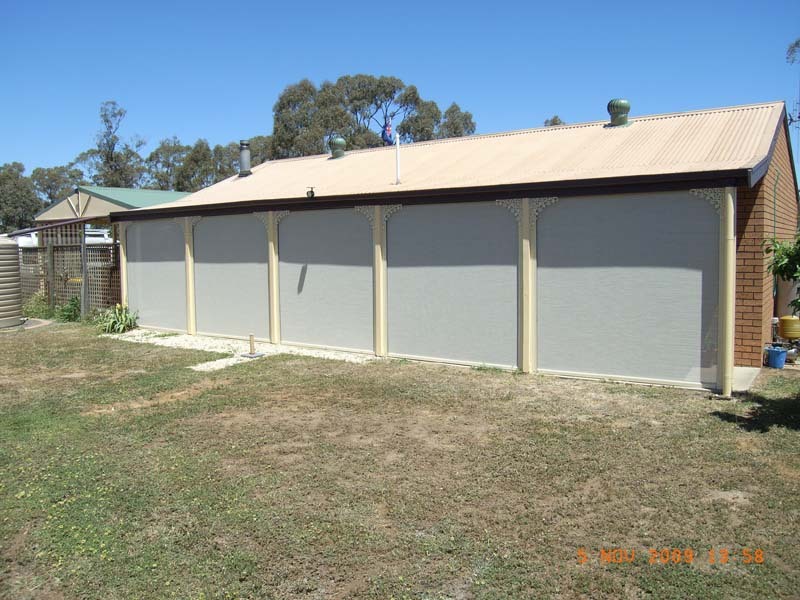 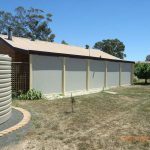 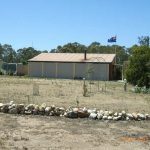 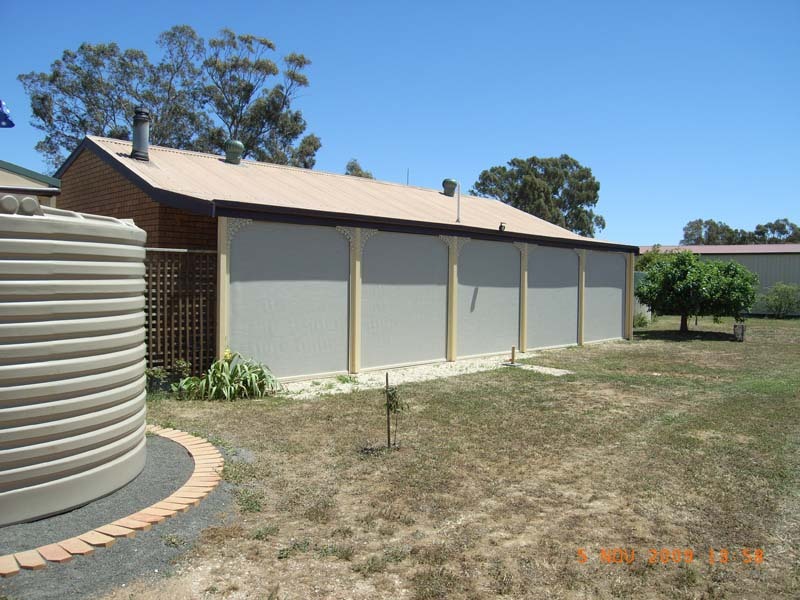 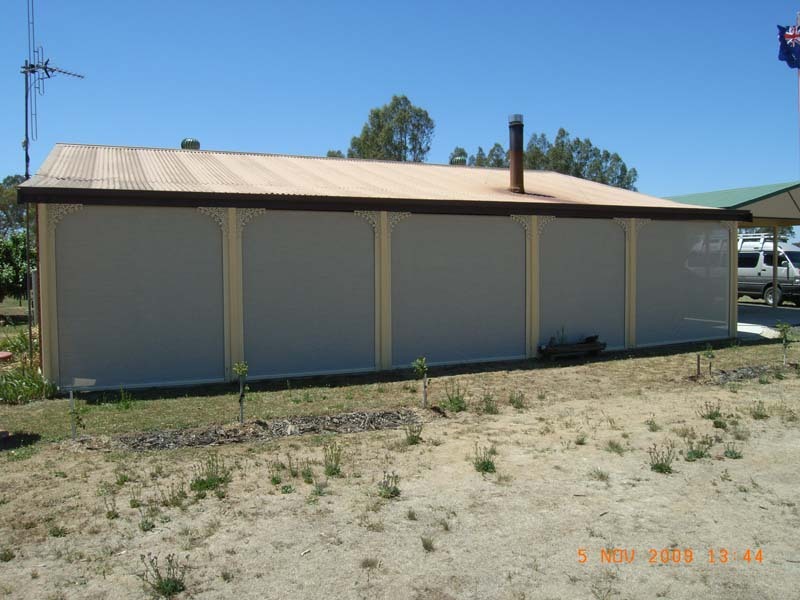 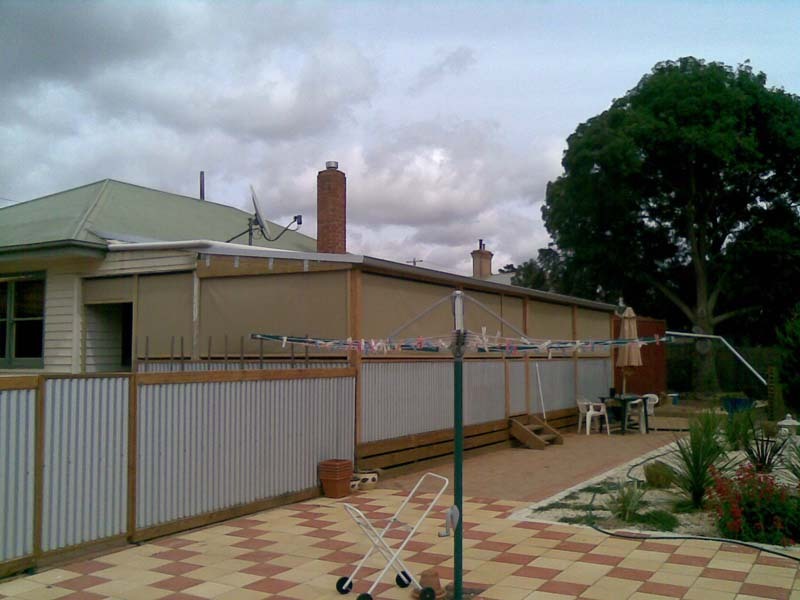 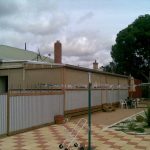 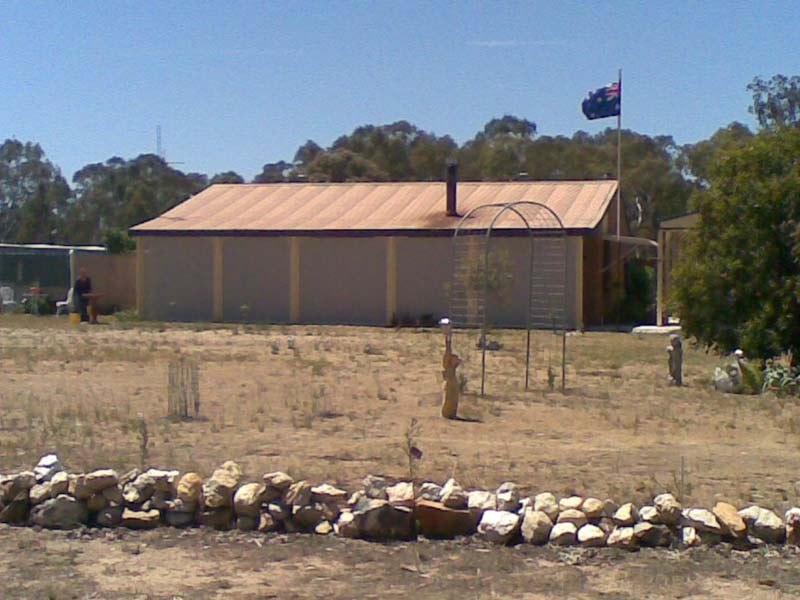 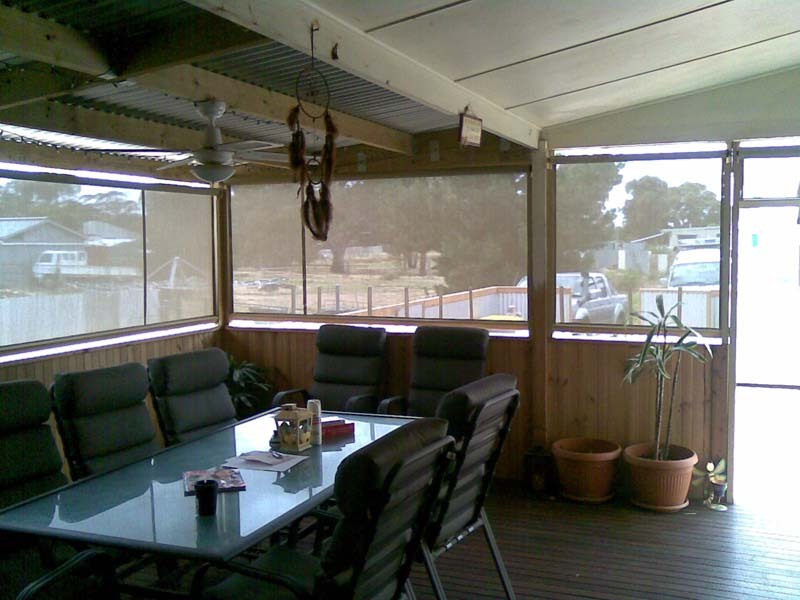 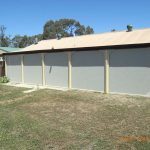 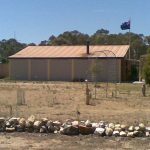 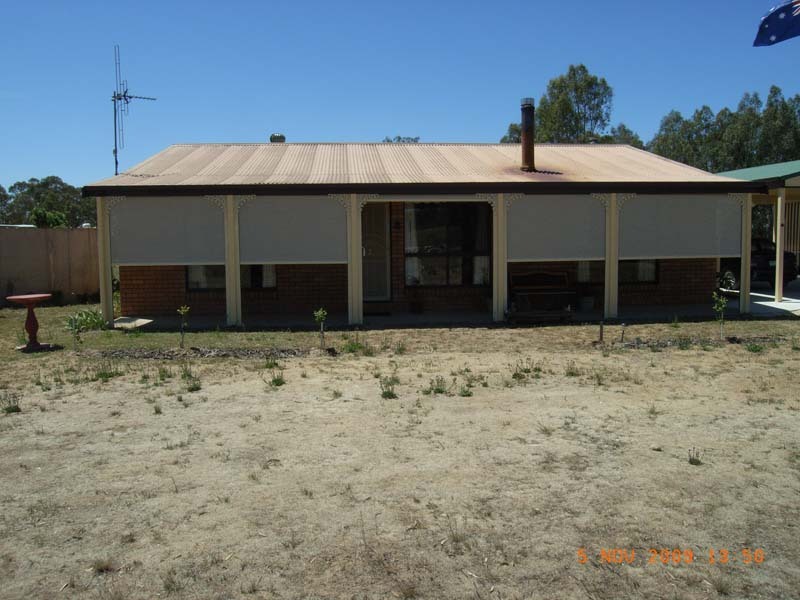 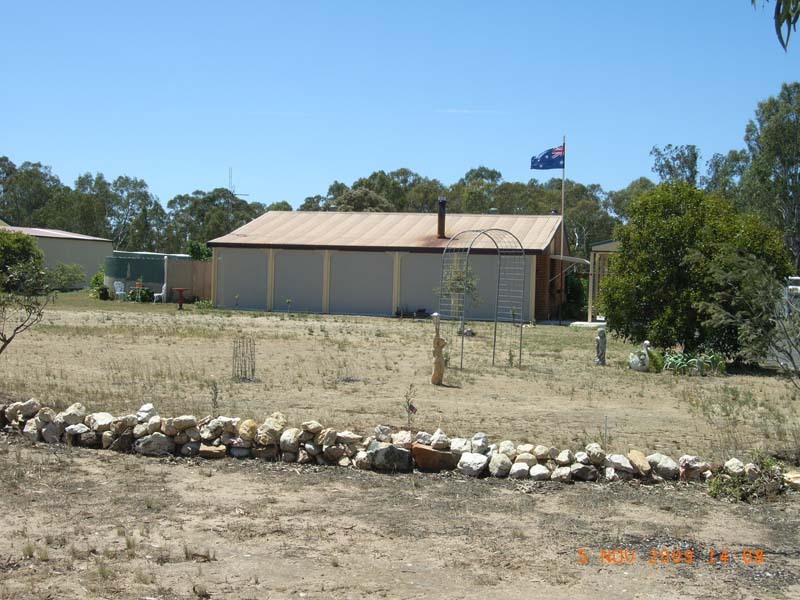 Ask us about our range of Channel awnings at Goldfields Screens and Blinds in Maryborough. 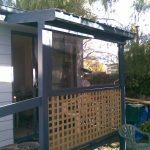 Channel awnings give you an instant extension to your room by temporarily enclosing your outdoor area and, in less than a minute, you can have the outdoors back again. 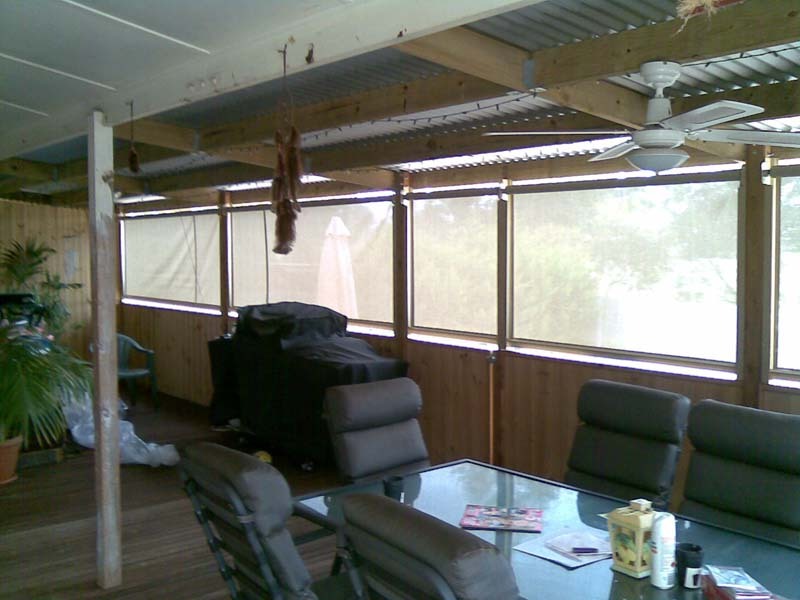 These awnings are also known as clear drop down blinds. 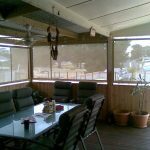 Popular fabrics for our channel awnings are vistaweave or clear plastic where you can have one-way privacy or have that cafe feel. 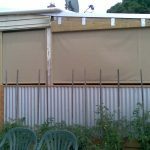 As part of the iShade range available at Goldfields Screens and Blinds we have the iShade Ecoscreen retractable vertical window blind. 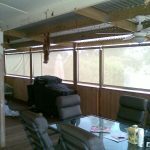 They provide heat, UV and glare protection and retract by crank handle into a slimline box that blends into any home’s aesthetic when not in use. 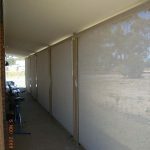 Suitable for windows or glass doors, the iShade Ecoscreens are available in a range of fabrics to suit your decor. 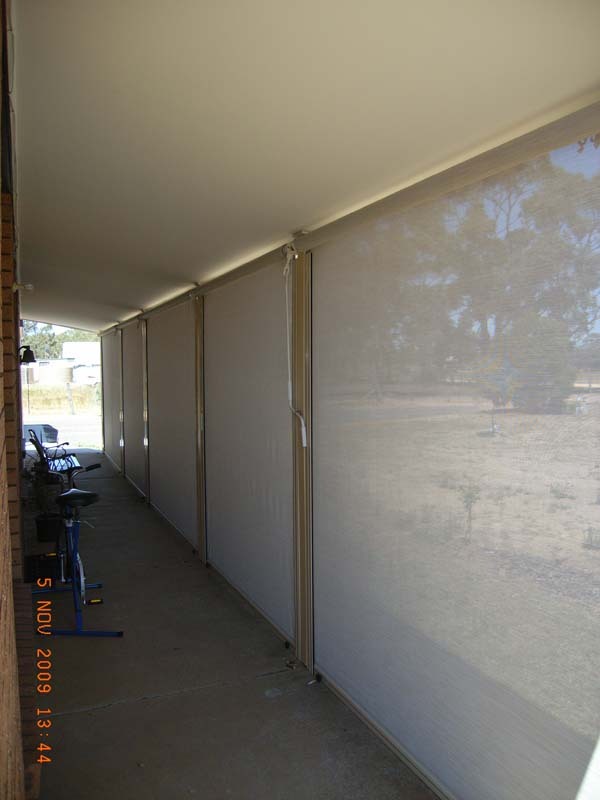 We also have the iShade Enviroscreen, a retractable tensioned screen that offers sunshade, UV, direct heat, glare, rain and wind protection while allowing natural air and light to filter through. 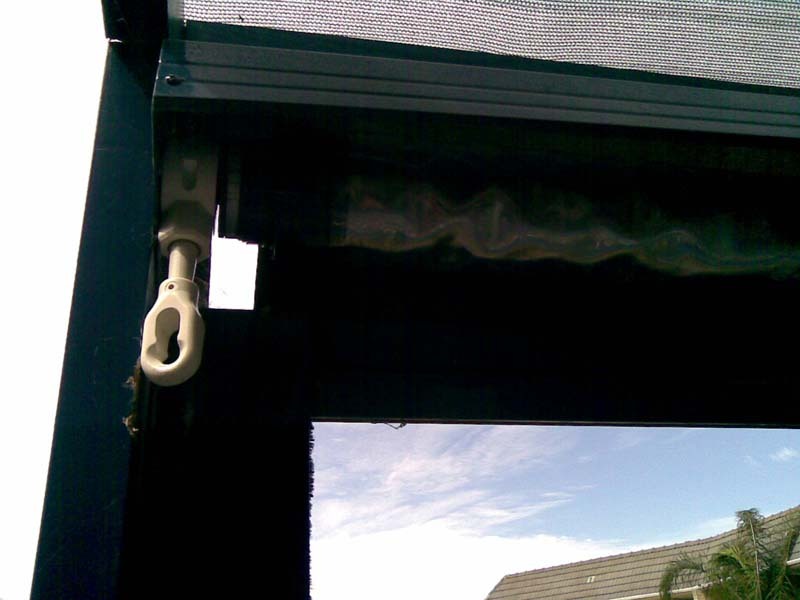 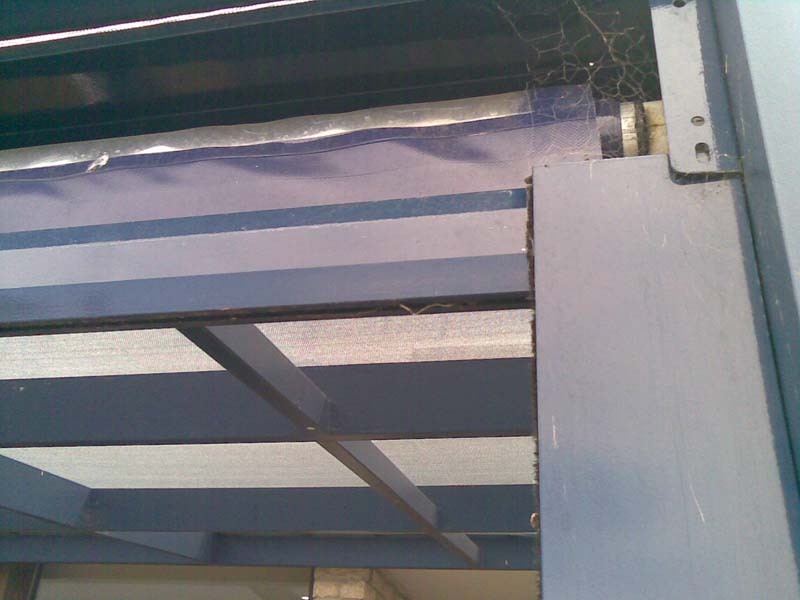 Its vertical drop system operated by manual crank makes it ideal for verandahs, pergolas, balconies and semi-open spaces. 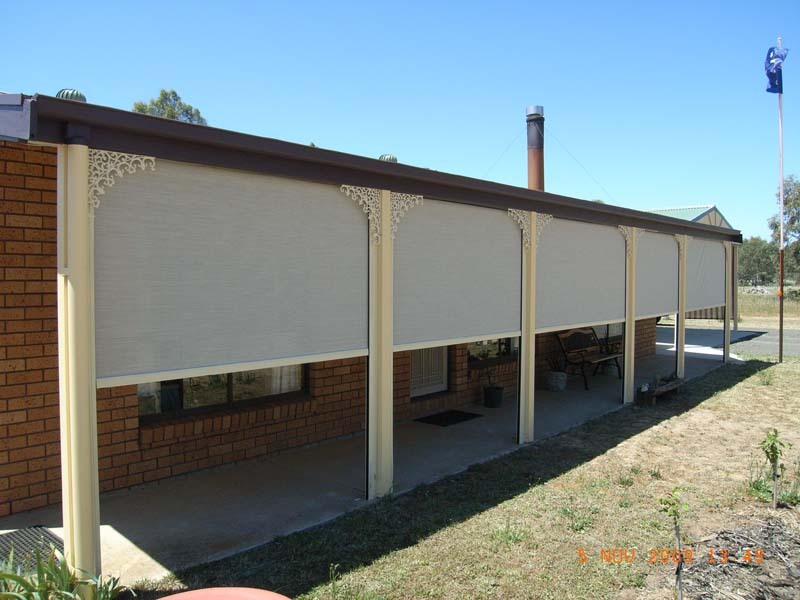 Come down to our Maryborough store for a demonstration of the features of the iShade Enviroscreen and other awnings in the iShade range. 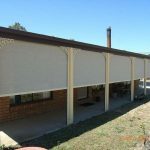 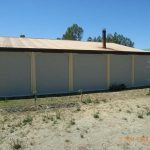 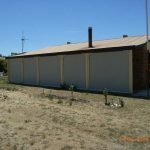 Please contact us for a free quote on channel awnings in Ballarat, Bendigo, Ararat, Daylesford, Castlemaine or the Goldfields in Victoria. 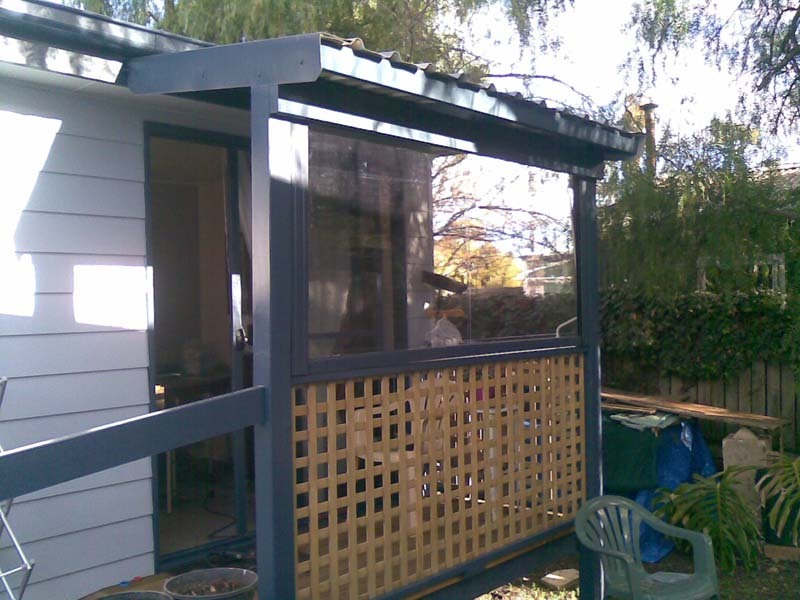 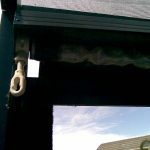 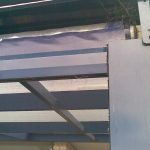 We can also help you with metal awnings, folding arm awnings and more.